In 2017, three counts of forcible sexual offenses were documented on the Goshen College campus, according to the Annual Campus Safety Report. In 2016, four counts of the same offense were documented in the report. But according to Beth Martin Birky, special assistant to the provost for Title IX, those seven offenses are only the incidents that occurred between January 2016 and December 2017 that fit the narrow definitions of crime specified by the Clery law and do not represent the total number of sexual misconduct reports on the Goshen College campus within the past two years. In fact, Birky said that over 50 cases of sexual misconduct were reported by GC students and employees during between August 2016 and May 2017. At the beginning of the month, GC community members received an email from the Student Service Department which included a link to the Annual Campus Safety Report. The report, which is created in compliance with the Jeanne Clery Act, the Violence Against Women Reauthorization Act of 2013, and the Campus Sexual Violence Elimination Act, lists crimes and fire statistics. This includes criminal offenses including robbery, aggravated assault, hate crimes, stalking and forcible sexual offenses, among others. Because the report only lists crimes, which Birky said can be defined as “severe, pervasive and persistent” acts, many of the misconduct reports are not recorded because they do not meet the requirements to be considered a crime. In addition, the report only notes crimes that have taken place on the Goshen College campus — meaning that sexual misconduct that takes place elsewhere (such as during Study-Service Term or an off-campus course) are often not recorded on the report, even if they are considered a crime. Birky stated that the Provost’s office and Student Life are hoping to provide a clearer description of the type of incidents that are being reported to Title IX and incidents ranging from gender harassment to sexual assault. She also recognized that the reports only represent a fragment, most likely less than 15 percent, of the discrimination and violence people actually experience. 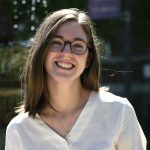 Since coming into her new position on the Title IX committee this year, Birky has been working on compiling the data from sexual misconduct reports recorded during the past two years in hopes of creating more transparency. Of the 50 reports made during August 2016 and May 2017, a majority of those came in through the sexual misconduct online form, which was first implemented in fall 2016. Of the 48 online reports, eight were not related to Title IX and were forwarded to counseling or campus conduct. Because the online reporting form for racial misconduct was not yet in place, students used the online report form for incidents related to racial harassment. Some reports also relate to incidents that happened prior to 2016. According to Birky, all reports are welcome. Of the other reports that were Title IX cases, two-thirds were related to verbal harassment and the other third were cases of physical harassment and sexual assault. Less than one-fourth of the reported incidents were investigated by the Sexual Misconduct Response team, either because they were reported anonymously, the identity of the offender was unknown, or the reporter did not want an investigation. In the fall of 2016, for example, 18 were reports of cat calls and verbal harassment that female-identified students experienced near campus. Even if the reporter did not want an investigation, the individual was contacted and provided with information and resources,.Birky wants students to remember that reporters can decide what response will be most helpful to them. Some accommodations–like class changes or no contact order–are possible without a formal investigation. In 2017-2018, the Title IX office received 34 online reports. This fall Birky has received nine reports (five online), the majority being verbal harassment. During the past year, GC students were surveyed about the climate on campus surrounding sexual misconduct. The survey information is still in the process of being summarized and will be shared with the campus at a later date. However, Birky was able to share a few key points about the information gathered, such as the surprising amount of responses from students. According to Birky, the survey received a surprising amount of responses from students, with 41 percent of GC students completing the survey, compared to 20% at other institutions. While detailed analysis of the climate survey data is still underway, plans are in place to communicate the findings with the campus community and to use the data to improve resources, education and processes. Steps have already been taken to address some issues identified in the climate survey, such as clarifying reporting options for students on SST. For immediate help/safety, students can call the on-call residence life coordinator at (574) 326-5663 or campus security at (574) 574-535-7543. For students looking for support, Faculty Advocate Regina Shands Stoltzfus can be reached at (574) 535-6232 or facultyadvocate@goshen.edu, Jennifer Miller, campus counselor at (574) 825-7471, and Campus Pastor Gwen Gustafson Zook at (574) 535-7776. The online reporting form can be found at www.goshen.edu/sexual-assault/reporting/form.